Want to get to know us better? Read on to find out who we are, how we got here, and what we’re all about. It’s a long story, but it’s a good one. If you go back 300 years and more, these barns were built as part of Northcourt Farm. The farm itself dates back almost 1,000 years, when it was started by the monks of Abingdon Abbey. Right up to 1945 the farm barns were working buildings, full of crops, machinery, and animals. And then until the 1990s, a dairy. Then for several years they stood empty, until the people of Christ Church (that’s the church in the big barn just behind the café) decided it was time to bring them to life again — to buy them, rebuild them, and create something special for the community. And after years of hard work, the vision became a reality. All those centuries ago, the monks of Abingdon Abbey were big on offering hospitality to all. So what we’re doing now is following in their footsteps – opening up a place that’s full of good things. We’re a big team of friendly part-time volunteers supported by some paid staff; our full-time manager, Hannah, part-time deputy manager, Alex, and two part-time supervisors, Jo and Chris. The café opened in May 2013, and since then has been staffed by over 70 volunteers from churches in and around Abingdon – some for a short time, some for years! We gather and pray as small teams regularly, and as a whole team three times a year. We work hard to be able to provide the best food and drink we can. Each person brings their individual gifts and skills, a love for Jesus, and a heart for the community of North Abingdon. 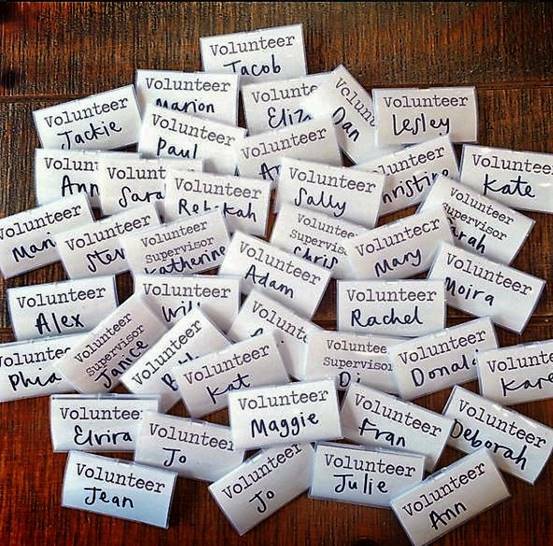 It’s why the café is the way it is today – it is shaped by the love and care of each volunteer. 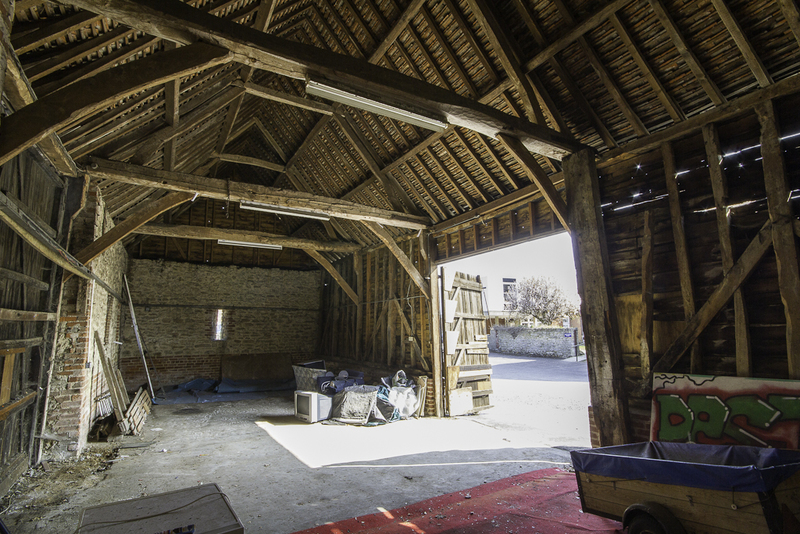 Tucked behind the café is another beautiful barn that dates back to the 13th century. It doesn’t have a pointy steeple, but it really is a church – or rather it has been since the 1960s. Like the café, it was restored and transformed by a group of Christians who wanted to create a place for the fast-growing population of North Abingdon. If you haven’t ever been in, do take a look. You’ll find that there’s lots going on there during the week, for every age from pre-school to retired. 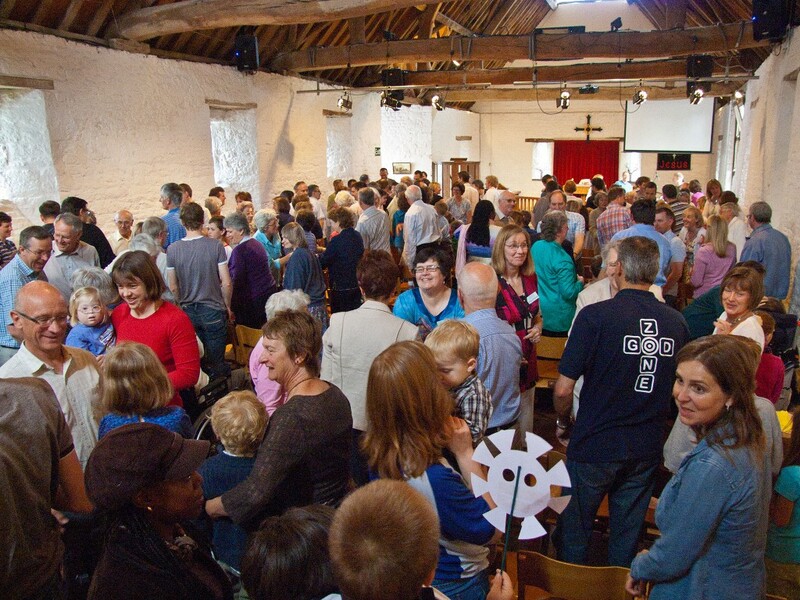 And on Sundays, hundreds of people come here and to the ‘daughter church’ that meets in Long Furlong School. We’re Church of England, working closely with numerous other churches in Abingdon.